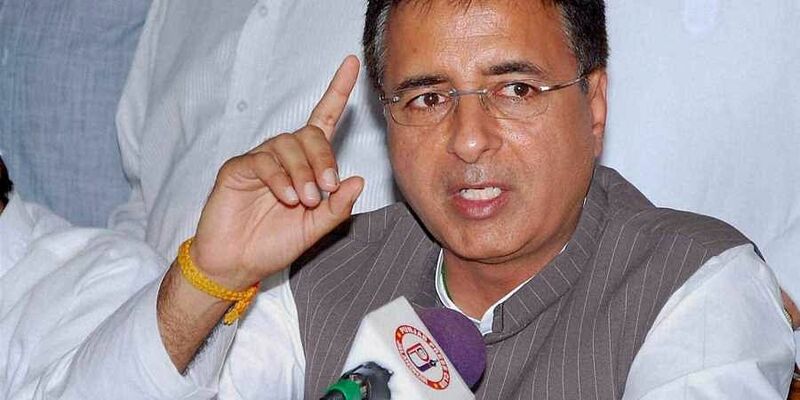 Congress' chief spokesperson Randeep Surjewala also listed a string of achievements over the last seven decades to highlight the progress made under Congress governments. NEW DELHI: The Congress Friday hit back at Prime Minister Narendra Modi for his remarks that India could not prosper despite people with "big surnames" ruling the country, saying he could not mislead the people by "lying" as he had been "exposed". Addressing the 'Jagran Forum' organised by the Dainik Jagran media group, Modi had said, "People with big surnames came to power and went but no solution could be found to problems." He was making an oblique reference to the Nehru-Gandhi family. He also alleged that poverty was not alleviated as it could hit the "vote bank" of parties in the past. Surjewala dismissed the prime minister's remarks as "baseless" and listed several achievements of the country. "When he had not been born, India had won a war against Pakistan," the Congress leader said. He cited steps such as building of the Bhakra Nangal Dam, abolition of the Zamidari system, abolition of untouchability, setting up of the Navratnas, the IT boom, liberalisation, to state that there had been a tremendous transformation in the country. "When he was attending an RSS shakha, the country had changed the geography of the Asian sub-continent. When he was running an arrogant rule in Gujarat, the UPA government had lifted 14 crore people above the poverty line," he said. Surjewala said the Congress had not done all this, but it was the result of the hard work of 132 crore Indians in over 70 years. "You dishonour the journey of 70 years that India has undertaken. You cannot mislead the people by lying as you have been exposed," Surjewala claimed. He also claimed that when the results of the assembly polls in Chhattisgarh, Madhya Pradesh, Mizoram, Rajasthan and Telangana come out on December 11, the Congress was confident that it would mark a "new dawn for the country" and the beginning of a "new kind of politics". He claimed that the Congress' campaign throughout the state polls remained positive, while the BJP's campaign was one of "abuses and negativity". Surjewala claimed they had been indulging in divisive politics of caste and religion, but the extreme was reached when in Madhya Pradesh and Rajasthan polls they did not even spare the Gods. "Someone says Hanuman ji is from the Dalit community, someone says he is an adivasi, someone says he is from Arya Samaj. From Lord Ram to Hanuman, casteist and varna based divisions were made to divert the country's attention," he alleged. Congress chief Rahul Gandhi took part in 82 public meetings and a dozen road shows. He held press conferences in almost all the poll-bound states, Surjewala said. The Congress spokesperson alleged that the prime minister and his leaders used abusive language. "I will have to say that the PM's behaviour was shameful and condemnable," he said. The political discourse of the country was lowered by the BJP, he alleged.